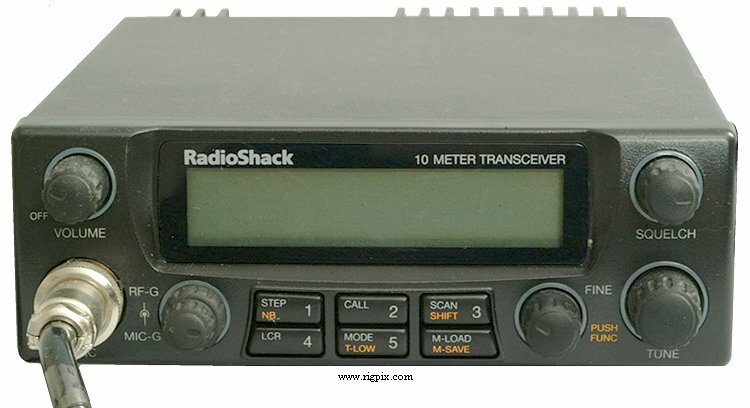 The HTX-10 is a Radio Shack branded 10 meter amateur mobile transceiver. It's probably sold with the expectation that most buyers are CBers who want to run over the legal limit. I don't care as long as they stay out of the ham bands. I got mine about 5 years ago when it was on clearance for $50. I installed it in my Oldsmobile Cutlass Supreme with a big open coil mag mount CB antenna that I trimmed for 10 meters. The sunspot cycle was peaking at the time, and I worked all over the darn world with that setup, Africa, Europe, Asia, South America, no problem. Audio reports are OK. I've only operated it on SSB, so I can't comment on the FM or AM performance. Now that we are at the bottom of the cycle, the radio is practically useless for long haul communications. It works fine for talking to locals, if there are any 10m locals in your area. If you do own one of these radios, hang on to it. It will be more valuable and more useful when the solar cycle picks up. If you don't own one, now is a good time to buy, but watch out for rip-offs on the greedbay. This radio sold for $50 new when it was on clearance. The radio doesn't work if the microphone is disconnected. I discovered this by accident and assumed the radio was DOA. Not so, just a boneheaded design flaw. The tuning using the main tuneing knob is quite course. You pretty much always have to fine tune with the RIT knob. This would be fine except some idiot also made the RIT knob the "push func" button that you have to hit to access the second function of the front panel buttons. WTF?? Whatever, nobody ever said it was a contest radio. This radio is nothing special, but for the price it's probably the cheapest way to put out a mobile HF signal. When you consider how cheap CB antennas are vs. multiband ham mobile ants, then the low total cost of the mobile station really becomes apparent. When the next solar cycle picks up, you can have a lot of fun working DX on it while driving around town. Yes, I think it would work. It wouldn't run it for very long, probably only an hour or two, depending on how much you transmit. I forget if the radio has a low power feature, it's 25 watts on high power I think. Honestly it's been a while since I used it.